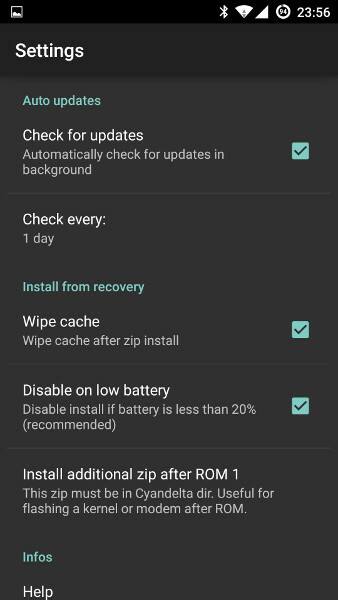 CyanogenMod Nightly users might know the effort involved in downloading an update every day or every alternate day to keep the mobile operating system bug free. We have been running on the same track with the latest CyanogenMod 12 Nightly Builds for OnePlus One which arrive pretty much daily. Initially starting off with daily updates looked like a task downloading and flashing it every time, because OTA doesn’t work. The new build usually comes around to be ~280MB which has to be downloaded every time you plan to stay updated. This not only took the effort but also the bandwidth of your Internet connection which might be important to some especially if you are in India. 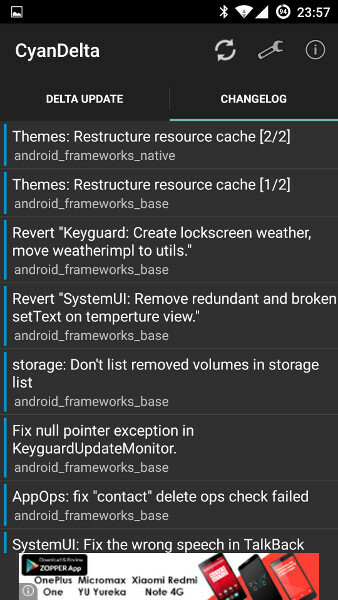 Running by the XDA forums, we found an useful app posted by fellow CM junkies which can serve the purpose of OTA in-spite it being not presently available from the backend. With approximately 15-30MB change in every build, downloading a 280MB update again and again was kinda pointless. So, we thought to try the app and it turned out to be pretty convenient. 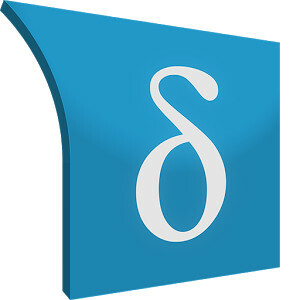 CyanDelta, a third party app meant for CyanogenMod Nightly users serves delta updates which are not exactly OTA. The app requires you to download the complete build for the first time. It then asks to import the zip in its directory where it inflates the contents. 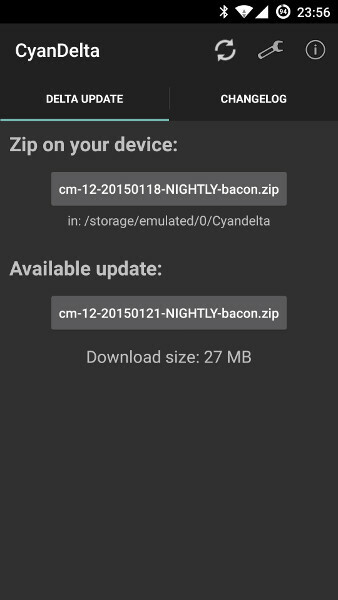 Getting things into order, the app then converts the initial downloaded zip to its own version with 2X the size. Every time when an update is available, the app notifies its users about the new version. It then asks to download the delta update and create a new zip package with the update downloaded. The app also presents git logs about the new build and the upcoming build from cmxlog.com in a separate tab. We found this app to be very convenient to use after I hit my FUP limit when downloading 280MB even on WiFi takes time. The app is available to download on Google Play Store for no price tag or in-app purchases. A bug thumbs up to the developer for this utility app. Next articleHow to use WhatsApp on your desktop?